I demand that you stop the new wave of media mergers that’s taking the “local” out of local TV. In recent years, companies like the Sinclair Broadcast Group and the Tribune Company have evaded the media ownership rules and used covert-consolidation tactics to buy up TV stations across the nation. The FCC has ignored this trend, and as a result there are now many communities where a single company owns multiple stations — and broadcasts the same exact newscast. Local TV remains the primary news source for most Americans. Please close the loopholes in your ownership rules and ensure that Americans have access to a diverse range of news sources on their local TV stations. Why do you want to protect local TV? Media companies are using shady tactics to dodge the Federal Communications Commission’s ownership rules and snap up local TV stations across the U.S.
Gannett, Nexstar, Sinclair and Tribune are on major buying sprees. To grow their empires, these corporations are using shell companies to evade federal caps on how many stations one company can own. And so far the FCC has done nothing to stop this trend. In some communities, one company owns two, three and even four local TV stations — and airs the same news programming on all of these outlets. The result: An echo chamber where all the news looks and sounds the same. This is the face of media consolidation today. But we don't have to stand for it. 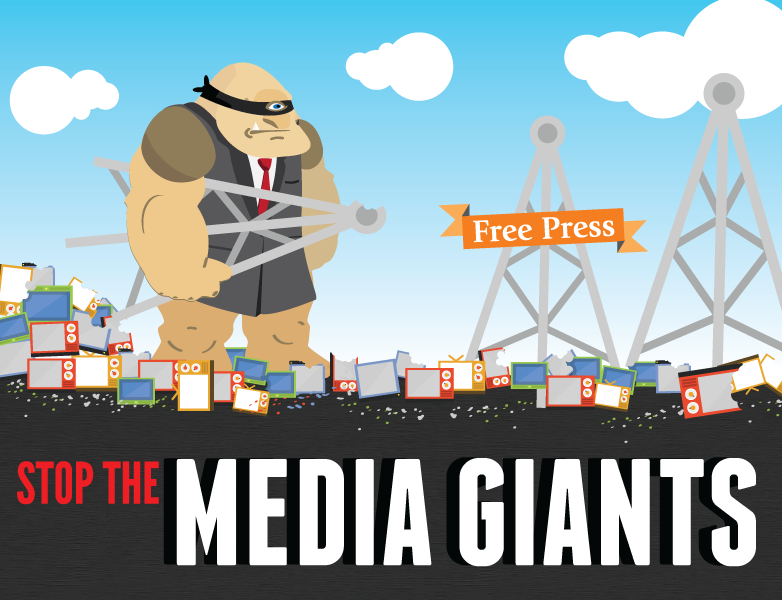 Tell the FCC to close the loopholes in its ownership rules and stop runaway media consolidation.